I despise narrow votes. They frighten me, and they should frighten every pastor. With ghouls and goblins well behind us and the mid-term elections in the rear-view mirror, I want this article to give every pastor nightmares about proceeding to act upon the basis of a narrow margin, especially as many of you complete your upcoming budgets and ministry action plans for 2019. Be afraid of narrow votes because they represent a departure from the biblical pattern of church polity. Even troubled New Testament churches tended to achieve decision-making by consensus. Did they ever proceed by a narrow vote in the New Testament? Perhaps they did once—perhaps. In 2 Corinthians 2:6, we read about an action of church discipline described as “this punishment by the majority.” But a mere majority does not necessarily a consensus make. The narrowness of the vote at Corinth, if it was narrow, was indicative of a church that Paul described before their disciplinary action as “boasting” and “arrogant” in their inability to achieve a consensus to act in concert with the Holy Spirit’s leadership. This example is hardly exemplary! Be afraid of narrow votes because they represent a failure in the church’s mission to make mature disciples. Alongside the spiritual maturity of each member of the congregation stands the collective maturity of the congregation. When narrowly divided opinions about important church matters move into congregational consensus, the “unity in the faith and in the knowledge of God’s Son,” becomes an aspect and indicator of a church “growing into maturity” (Ephesians 4:13). If you’re a leader in a local congregation, then building up the congregation toward that kind of unity and that kind of maturity is the reason for which your office of leadership exists (Ephesians 4:11-13). Coming out on top of contested votes is not your calling; building up a mature congregation is your calling. I agree with James Leo Garrett, Jr. and Stan Norman that congregational church polity is the best way to build that sort of consensus and to make the unfolding story of the church (the stuff of church polity) an occasion for discipleship. However, that’s only true of a congregationalism that rests unsatisfied until it’s won consensus rather than a mere majority. Be afraid of narrow votes because they’re a less reliable indicator of the leadership of the Holy Spirit and the authority of Christ than the consensus of God’s children. Twice in the Gospels, Jesus promised that the authority of heaven would stand behind human decisions. On the first such occasion, in Matthew 16, Jesus favored Simon Peter with a promise of heavenly authority. It’s certainly possible for an entire congregation to be wrong about God’s will. A supermajority of any size within the congregation might also be wrong. Let’s not ascribe impeccability either to an individual believer or to any aggregation of believers. However, the odds that the congregation is confused about or is missing God’s will increase in direct proportion to the number of devout saints who are on opposite sides of any question. Finally, don’t be afraid of men. The least frightening thing about narrow votes is the fact some people are upset with the outcome. Rather, be afraid of narrow votes because it’s so much scarier to walk with God in a pre-Sinai way than it is to do so post-Pentecost. Perhaps your congregation doesn’t practice congregational church polity. Even if that’s the case, I submit to you it’s nonetheless the duty of every leader in your church to build consensus among the membership and to seek God’s will together. No matter how your constitution and bylaws or your statement of faith may read, church leaders are wise to proceed with caution whenever a slim majority of God’s people see His hand in the church’s decisions. Keep working. Keep talking. Keep praying until you find consensus. God can bring His people together in ways that can amaze you. BART BARBER (@bartbarber) is the pastor of First Baptist Church of Farmersville, Texas, the husband of Tracy, and the father of Jim and Sarah. He runs an exceptional blog at: PraiseGodBarebones.Blogspot.com. I understand your concerns about narrow votes but there are a couple of things that need further consideration. First, the minority may be so because they have chosen to embrace tradition over God. While some traditions are fine, many of them are simply incompatible with the Great Commission. And while every effort should be made to get those in the minority onboard, their resistance should not be allowed to impede the work of the church. Second, the minority often are so just because they resist change. I have had to deal with narrow votes on issues such as whether to begin the morning worship service at 10:50am or 11:00am. 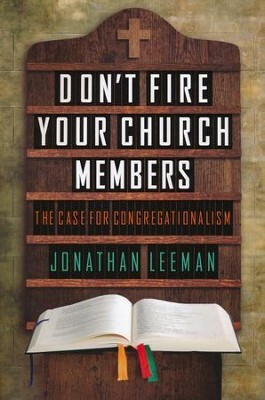 Third, by emphasizing the building of a consensus, it seems to undermine the biblical model of leadership. The pastor should always seek God’s leadership, and when he is convinced what God’s Will is, he should then lead the church to obey God. A narrow vote should not be allowed to undermine God’s Will. Think about Moses and the Israelites. Standing at the southern border of the Promised Land, they ignored God’s Will and turned back instead. Again, I understand the concerns you have pointed out regarding narrow votes, but I think a lot of the problems in churches today stem from the vain efforts to build a consensus. Thank you so much, Dr. Beach, for reading and for commenting. I appreciate your sharing your point of view. It may be that we simply hold different perspectives about what is the “biblical model of leadership.” It is my conviction that the delegation of authority from Christ to the gathered congregation in Matthew 18 and the reception of the Holy Spirit in each and every believer create a different situation for New Testament churches than that which Moses faced. Also, from my point of view, the task of the pastor is not to lead starting times for a morning worship service so much as it is to lead the sheep of the flock who have been allotted to his charge. I most certainly agree that almost all difference of opinion in a local congregation represents a moment in which one party or the other has missed the will of God. Believing in neither papal nor presbyterial infallibility, I have no way to know whether it is the majority, the minority party, or the pastor who are out of God’s will, but in a way, that’s not the most important matter. Rather, the primary need of the church is to make disciples, and if the pastor is convinced that there are a significant number of members of the flock who have embraced tradition over God (even those incompatible with the Great Commission!) and who are resistant to change, then from my point of view, the task of building consensus is the greatest priority of that pastor—the nurturing and admonition of those souls to bring them out of their intransigence and into the corporate search for the voice of the Holy Spirit and the will of God.